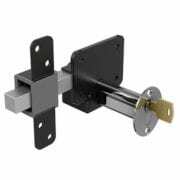 This long throw gate key lock is a strong ideal lock for wooden gates and garage doors. It has a black powder coated plate and stainless steel cross bolt for extra strength and rust free performance. 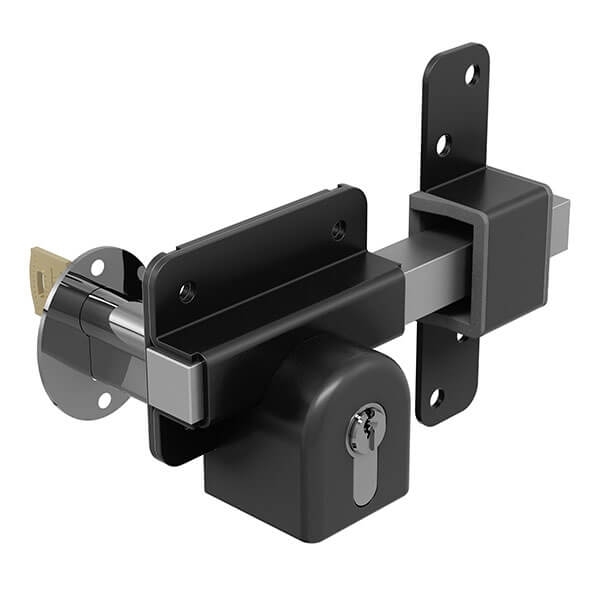 You have the choice of 50mm (2″) and 70mm (2 3/4″) to suit the thickness your gate or door.\r\n\r\nIf you have any questions regarding our key locks then don’t hesitate to get in touch on 01925 387008 or email info@villageproducts.co.uk.